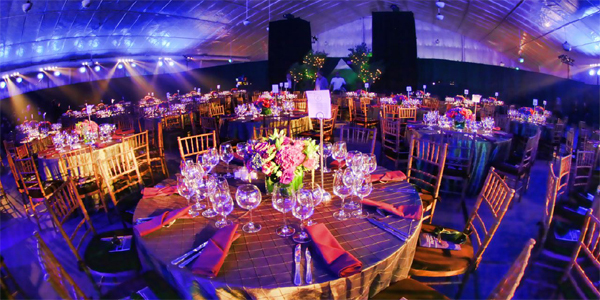 Do You Want To Be A Successful Event Planner? They commit to learning everything they can about the events industry. They really enjoy putting on beautiful events and seeing their client’s vision come to life. Imagine doing what you love everyday… getting to show off your creativity… and best of all – getting paid for it… even if you don’t have experience. The fact that you are here, reading this now means that you have a passion for putting on events. You are also here because you want to learn all you can about being an event planner. We have spent a lot of time creating a self-paced course you can take on our website that teaches you everything you need to know to become an amazing event planner. If you are thinking about starting your own business, this course is for you. If you are already an event planner and want to advance your career even further, or get a job planning events for a company this course is for you. If you have planned small events for your family and friends, and now want to start getting paid and turn this into a career that you love, this course is for you. How to price your services? What are the best ways to get experience in the planning industry? Can you keep your day job and still work on planning events on the side, while still getting paid? What the best ways to market yourself are, even if you have no money? How to begin if you don't have money saved? What are the best ways to get your first clients? The “Become an Event Planner” course has 11 main sections that cover all of the important categories of event planning. We have spent years improving this course with the help of experts and have continually updated it with the latest industry information and trends. Plus we still add new material to the course every month so you will constantly be learning something new. When you buy the course for only $47, you will receive a log-in to use anytime to access the course. Along with the main course information mentioned above, you get 24 VERY IMPORTANT bonus templates, proposal samples, budgeting spreadsheets, sample contracts, agreements, documents and client questionnaires. The bonuses alone are worth hundreds of dollars in time and money. If this sounds like the package for you, it is available right now for instant access for only $47. Most at-home courses cost over $1000 so needless to say this is a steal of a price. Plus, after four months of you remaining a student, we mail you a certificate of event planning which shows that you have completed the necessary training that we provide that equips you with the knowledge to run an event planning business. Why are we able to charge so little you might be thinking? Because selling this course is not our main business. We are an actual event planning company that puts on events for clients and that is where most of our income comes from. But we love teaching about our industry and we love what we do. So we put together this comprehensive course just for you. Get it while it’s still at the low price of $47. The value of this course is $295, plus all the free bonuses you receive. It comes with a 30 day – no questions asked money back guarantee if you are unhappy with the course for any reason. You can buy it now here. No prior experience required to use the course. We have seen this course help customers who want to start their own business, those who want to become event planners as a career, and those who are already planners. We receive emails and testimonials from former students every day that share their success with us, and thank us for creating this course for them. This is a $500 billion dollar industry so there is a lot of opportunity. The key is to learn the secrets to planning success as quickly as possible. Our course provides you with that. Our team has worked on some of the largest events for corporations, non-profit groups and celebrities; and we are ready to teach you how to do the same. We LOVE what we do and are ready to share our knowledge. 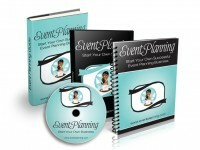 This Ultimate Event Planning course will help you become an event planner and has already helped over 11,500 people. We have almost 8,000 Facebook Fans and a Private Facebook Community Group that students get access to. What are the first steps to becoming an event planner? How do I know if I'm charging enough money? What is the best way to market my business? 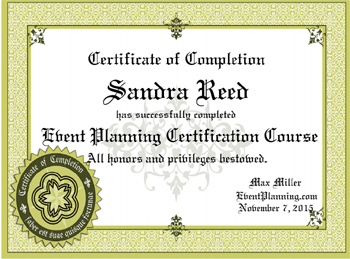 Do I need an event planning certification? How do I get money to start my business? How do I go from planning small events for my family to making a living by planning events for clients? Our course answers all of these questions and takes you STEP-BY-STEP through everything you need to know. AND, there is a special section inside the course where you can ask us questions about any of the reading material at any time and we answer all of our student's questions. In a few short weeks, you can be planning events and starting your own business. We have had customers tell us that within as short as TWO WEEKS after taking this course, they got their first event client and loved putting on a beautiful event. And they were paid for it. Mistake #1: Thinking it is too difficult to become an event planner. This is not true. Sure it takes a lot of work to start a business. And this industry certainly is not a "get rich quick" or "overnight millionaire" scheme. So if you are looking to get rich overnight starting an event planning business, this is not for you. But if you understand that planning events is a very rewarding profession where you get to show your creativity, quality of work and attention to detail when working with clients; if you enjoy seeing your clients smile ear-to-ear after you put on a beautiful event, then this is the program for you. Our course is a very detailed STEP-BY-STEP explanations of EXACTLY what to do in all aspects of becoming a planner, that it is virtually impossible for you not follow along. We know that venturing into such a creative and rewarding profession comes with some scary moments but we have been there and done it so we are very well-equip at making it EASY FOR YOU! You have nothing to fear. Of course, as with everything in life there is work to do in order to succeed, but it is FUN, CREATIVE and ENJOYABLE work. Mistake #2: Most Event Planners do not charge enough for their services. We have detailed studies showing that many event planners make the HUGE MISTAKE of not charging enough for their time and services. You can charge more and we know exactly what the right amount is to charge to maximize your income and grow your business. We share all of this information with you inside the course to ensure you are always charging the right amount. In fact, there is one little pricing secret we have shared with students that was able to put an extra $40,000 per year in their pocket just by changing this one thing. The amount of work they did remained the same. Many planners make the mistake of setting a price that is low in order to get a client, and once they start working with the client they realize that they under-priced themselves and end up making no money or very little money on the event. We share with you how to price your services fairly, yet still get a lot of clients. We will help you avoid this mistake by showing you ways to price your service that puts the most money in your pocket! One very well known event planner complimented our course by saying, "This is the perfect course book for savvy and creative people." Since you are still reading about our course, we hope you are the type of savvy person who will take advantage of our course right away. a full "Become an Event Planner" course that includes 12 sections, 4 modules, 22 projects and 24 bonuses. and how to make a lot more money! If this sounds like the full course for you, you are in the right place. Yes, I've heard enough and am ready to purchase the course now! STEP-BY-STEP information on becoming an event planner and running a successful event planning business. You will receive a FREE Bonus Startup Kit that contains a "Done-For-You" guide to planning beautiful events, how to market yourself, how to increase your sales, plus templates, checklists and valuable advice you can't find in many places. Plus a lot more! You will receive on-going support from us with answers to any questions you have about becoming an event planner (just email us). No prior experience required to use the course and guides. It benefits those wanting to become event planners and existing planners. This is a $500 billion dollar industry you are entering. Best of all: You get to be creative, plan beautiful events, and be your own boss! How much do other event planning courses cost? Most of our competitor's Event Planning courses cost over $1000+! We do not believe in over-charging our customers and believe that our course and guides teach you everything our competitors have for less than 5% of their prices! We don't mind giving you this course for such low prices because we love helping our readers and we know you will be so satisfied with our course that you will continue coming back and reading our site. That is more important to us than charging thousands of dollars. Yes, all course and bonuses have a 30-day, no questions asked guarantee. In other words, if you are not happy for any reason, just let us know and we'll give you your money back. We don't think it will come to that but if you are the least bit worried if this material is for you, then this guaranteed refund policy will put your mind at ease. You either like the material and get results or you get your money back. It's as simple as that! Common Question: Is there any way you can mail me the course to my doorstep as a DVD or book? Not right now unfortunately. Please buy the online version. You will receive immediate access. In the future we might make a DVD and book out of this course but we do not have it available right now. Common Question: When will I receive the course? You will receive an email with your user name and password immediately upon payment. If you do not see an email within 5 minutes of purchase please check your junk mail, or if you have Gmail please check your "updates" folder. The email will come from EventPlanning.com. Common Question: How do I purchase the course? Once you are ready to purchase, click any of the purchase links on this page and you will be taken to a secure credit card processing page. We use the highest security through Stripe for payments. On the checkout form you will be asked for your name, user name, password and payment information. As soon as you create your account, you will have it access to the course instantly. Still have questions? You can call us at 1-888-720-7710. 5 Star Rating! Seriously an awesome guide! Very organized and easy to use course. i got at least 3 new clients in the past after reading this and implementing. I mentioned this earlier but after buying this course and reading your sections about how to charge fort business it took my business to another level! Clients loved the new pricing, I got to charge a lot more and I had a new confidence in what I’m doing!! How up to date is this information? Can I get a job too if I buy this or only start a business? Hi Jimmy, the book and bonuses are completely up-to-date with the latest industry information, tutorials, guides, best practices and best ways to do business as an event planner. Everything is updated on a continuous basis. Yes the guides absolutely help customers land jobs as well! Sweet course! The main guide book is the best part. I love all the templates too though – they are saving me so much time. The whole package is really good. I wasn’t sure which parts I needed the most but there is so much good information here that the whole thing helped me trmendously. Even the bonus templates and contracts. Of course the main guide is great too. I’d buy again. I put on an event last night and had your guide as the blueprint! No one knew what I was relying on lol. Thanks!! Bought this 2 days ago and am half way through.. such good material. The new format of this online course is AMAZING! So much information to consume and it’s been great doing the projects you recommend along with the stuff I’m reading. I already have an idea book I made that clients love 🙂 Awesome! The bonuses and knowledgebase alone are worth the price. Recommended. How do I get the stuff here in Nigeria? Its really amazing and I really get good knowledge from this course thank you for nice guidance….. I just finished this course and must say it’s AWESOME! Great guidance and the information has been really helpful. Will buy more from you guys. I can’t wait to purchase this guidance, I’ve heard and seen great comments. Love everything about this course. I’ve been able to price my services much better and am regularly getting new clients from the things they teach. I was finally able to do this full time and am so happy! I am from South Africa and want to start up my own events company, even though I have 14 years experience in Event Planning, I would like some inside knowledge to market my business. Is there a way that this course can be modified for South Africa? I love the course outline, I want this. How do I start? I’m in Kenya.